Hello folks! 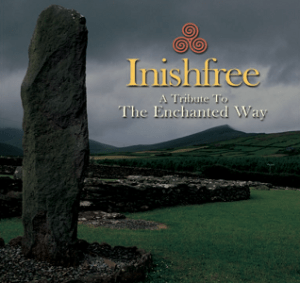 I am very excited to announce the release of a new CD, “Inishfree – A Tribute to The Enchanted Way”, that includes a song I’ve written for Ireland. This recording is a compilation of songs written and sung by American singer-songwriters who lead Inishfree Irish Musical Tours (except for track #1.) The name Inishfree comes from the William Butler Yeats’ poem, The Isle of Innisfree. 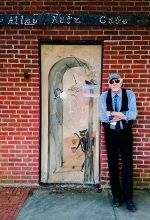 The tours began in 2005 when U.S. songwriter, Johnsmith, and the late Irishman, Tom Pigott, teamed up to create Enchanted Way Tours. Tom’s favorite song was On Ragland Road, where the phrase, Enchanted Way, originated. We all owe a big thanks to our comrade, Tom Pigott, may he rest in peace. I am honored to continue to lead tours each year to Ireland as part of the Inishfree company. The title of my song on this CD is Sean McCarthy, and I am very proud of it. The other artists included in the compilation include Tim Grimm, Joe Crookston, Moors and McCumber, Kate Campbell, Joe Jencks, Chuck Brodsky, Buddy Mondlock, Small Potatoes, Kitty Donohoe, David Roth, Johnsmith and Tom Kimmel, as well as a recording of Tom Pigott singing On Ragland Road. If you would like to buy a copy of the CD, please contact info@inishfreetours.com, and they will take care of getting one to you. The price is $10 plus $2 shipping, and the CDs are available now. I know you will enjoy this special compilation and I hope you enjoy my contribution of Sean McCarthy. I’ll be headed to Ireland soon for two tours this year, both sold out – but have also already starting planning next summer’s tour. For more information on that, check out my Ireland tour page. My Best To All of You! Movies and Books and Songs, Oh My!